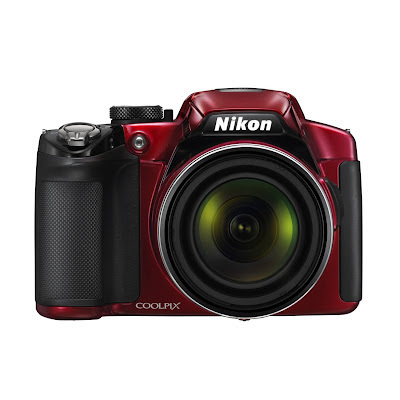 For the outdoor photographer, the Nikon Coolpix P510 puts you where you need to be. Bring your subjects up close and personal, with an incredible zoom range. Spontaneous action is captured sharp and clear with optical VR Image Stabilization and amazingly fast autofocus. Every image and Full HD movie dazzles when produced by its advanced sensor. Even when shooting in low light, your photos and movies will look great. The backside illuminated CMOS technology increases the flow of light to the sensor's surface, thereby yielding improved quality and minimum image noise. With the glass lens, an incredible world of optical power and versatility awaits you. Shoot from 24 mm wide-angle, then zoom to an amazing 1,000 mm and capture distant images. In addition, its close-up macro mode is incredible, allowing you to focus as close as 0.4 inches (1 cm). The optical Vibration Reduction system minimizes the chance of blur while you take both photos and movies and the side zoom control provides easy access to its powerful zoom capabilities. 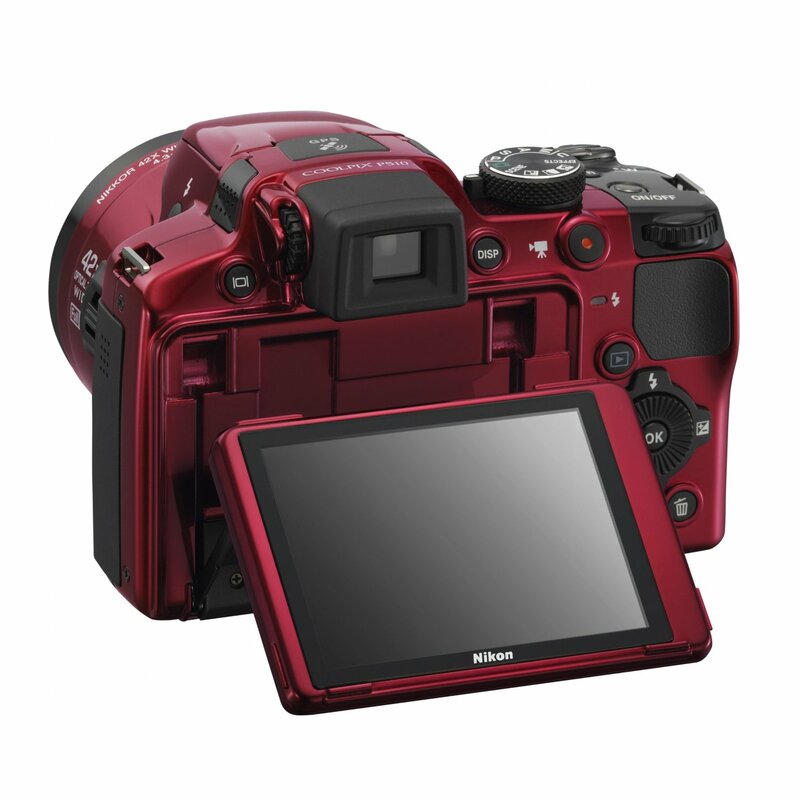 Enjoy non-stop shooting with its incredibly fast and responsive performance - up to 5 shots in approximately one second. So whether you're at a sporting event where the action never stops, or are simply hoping to capture those fleeting smiles, this camera delivers all the action with pin-point accuracy. With a single touch of the button, record movies using continuous AF and stereo sound. Choose from special effects such as High Contrast Monochrome or Nostalgic Sepia and add a creative touch to your movies. You can even shoot in slow or fast motion for more dramatic action sequences. It connects easily to your HDTV so you can share the sights and sounds of your adventure. Switch on the built-in GPS feature and as you shoot, your files are geo-tagged and provide a visual travelogue that pin-points latitude and longitude. Geo-tagged photo and movie files integrate with Nikon's my Picturetown photo sharing site, Google Earth and Nikon View NX2 software. Access all this device has to offer on its stunningly vivid, ultra-high-resolution monitor. Use the ultra-high-resolution Vari-angle monitor to capture the most unconventional angles. The camera boasts a variety of quick creative options that include Backlight HDR. Let it determine the best settings for the job with 20 pre-programmed Scene modes including Sunset mode. Easy Panorama mode automatically combines multiple shots into a seamless 180º or 360º panoramic image. Create unique wide views of your scene. 2. Compact and light weight. 3. Nice textured rubberized material grip, hence easy to hold. 4. NIKKOR lens better than that of Sony Cyber-Shot DSC-HX100V. 5. 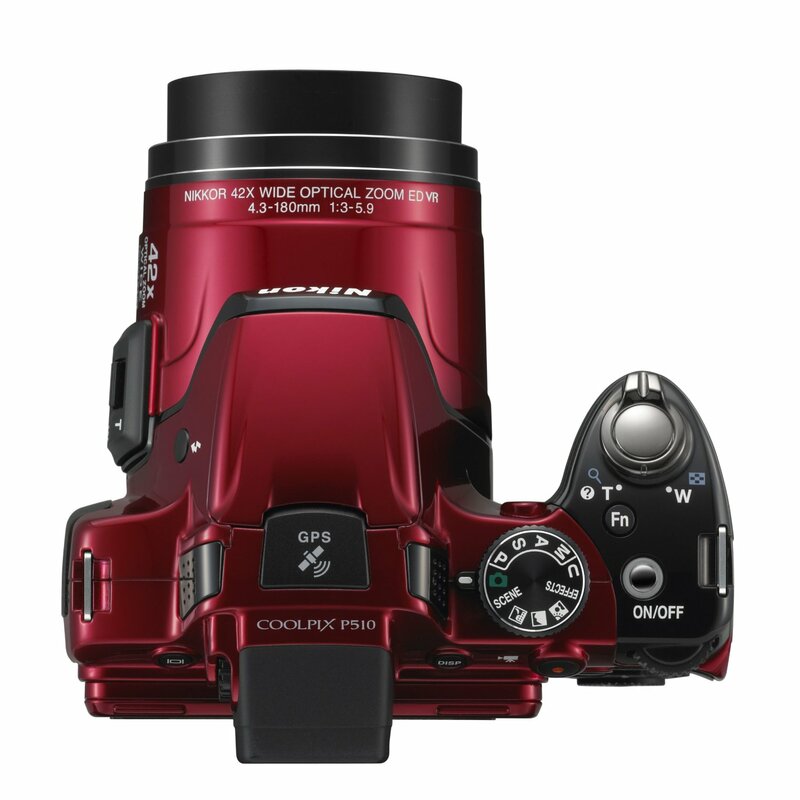 Both automatic and manual shooting modes. 7. Tilt-able screen (only in one plane). 1. Video quality not that great. 2. Slow-to-focus zoom when used at full range. 4. Not as fast as Panasonic DMC-FZ150K. 5. Need to switch between screen and viewfinder, cannot use both of them together. 6. Optical zoom makes noise while recording. 7. Becomes useless while charging. 8. RAW file format missing. If you are a soccer fan who loves to take shots from across the field, or if you are a wildlife fanatic or an amateur astronomer, its 42x zoom will help you take vibration free shots all the time. Get ready to be praised! If you are specifically looking for a camera for the purpose of video recording, then this is not what you want. Price: Get a price on the Nikon Coolpix P510 16.1 MP Digital Camera (Black) or Nikon Coolpix P510 16.1 MP Digital Camera (Red).